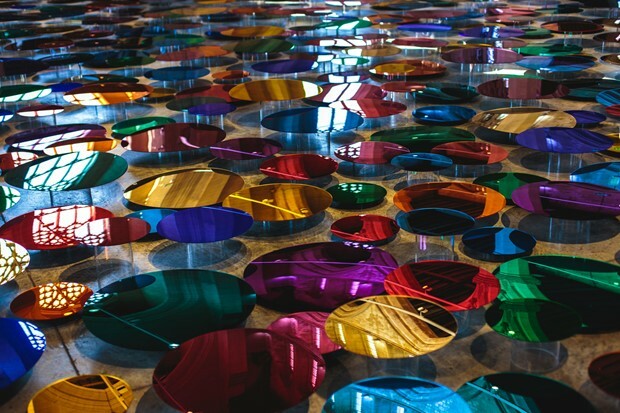 Liz West’s site-specific installation Our Colour Reflection creates a conversation between the viewer and the space using more than 700 mirrors made of coloured acrylic. Mirrors of different colours and sizes are set at different heights, reflecting light and projecting colour up into the historic interior of the Assembly Room. There is an element of performance to the work – viewers’ perspectives and experiences are affected by movement through the space and through time. Curated and produced by UHArts for the Assembly Room at St Albans Museum + Gallery.